Geologists suggest that gold has always been a most sought-after element to be mined, as compared to other metals and minerals. This clearly indicates that the preciousness of this mineral was recognized since the beginning of human existence, which eventually resulted in gold becoming a premium currency. 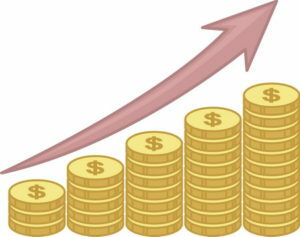 In this article we will follow the historical track of gold being used as a currency. We will also provide you with a modern rationale as to why gold has become the most suitable element to back paper currency. In 300 BC, the ancient Egyptians began using gold as a commonity. Before that, trading goods, such as food and clothing was the preferred method of exchange. In 50 BC, ancient Romans issued the first gold coin, which used the element as currency, replacing the barter system. After that, gold was used by different kingdoms and civilizations around the world. 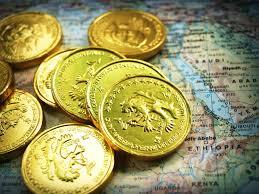 In 1284 AD, gold currency was issued in different major European countries. In 1792 AD, the United States adopted the silver-gold standard monetary system. This system established the value of the dollar with respect to the amount of gold and silver available. There are four chemical characteristics that should be possessed by an element to stand as an option for currency. 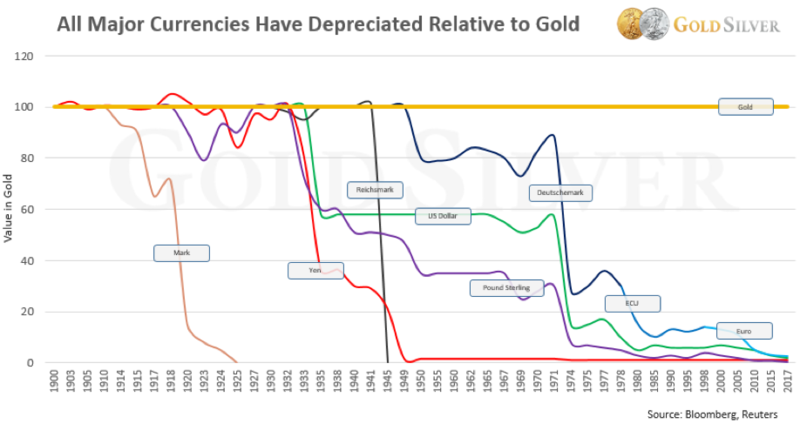 It will be interesting to see how gold has constantly been favored as currency, because it meets all of those four chemical qualities, while others fail to do so. Many elements naturally occur in gaseous and liquid state of matter. Their indefinite shape and volume make them unfeasible to be exchanged as currency, which means that plenty of elements become unfit for the purpose due to their criteria alone. Many elemental metals are knocked out due to this criterion. Most of them are reactive as well as prone to corrosion. For instance, lithium ignites when it is exposed to the external environment. Iron and copper are subject to severe corrosion. There are 38 elements that become ineligible to be used as currency due to these characteristics. Gold, on the other hand, doesn’t corrode and it is way less reactive to other elements or nature. To be used as currency, elements possessing radioactive characteristics can’t be selected. There are two major reasons for this. Radioactive elements radiate away, which means they lose their mass with time. They can’t be retained in their actual form if placed openly. Radiations emitted by these elements are harmful for human life. There is no way that something that depreciates so fast, or something that can harm people can ever be used as currency, irrespective of their value. Plutonium, for instance, is very expensive but equally dangerous. Two rows of periodic table get out of the currency race because they are radioactive. We are left with nearly 30 elements that pass the above three measures. These 30 elements are stable enough to represent money. However, almost all of them except three fail to meet the fourth qualification of being rare. It is important for an element to be rare so that it can be valued as currency, otherwise everyone would have it and valuing currency would become impossible. So which three elements are left in the end? Silver, platinum and gold! Platinum on the other hand has melting point of 3000 degree Fahrenheit. It can’t be melted in traditional furnaces which were used by ancient civilizations to make coins. As you can see, we are eventually left with only one element which is the most suitable among all the 115 known elements. Apart from these chemical properties, there are some other characteristics of gold which made it popular throughout history as currency. It can easily be tested for its purity anywhere in the world without much hassle. The production of gold throughout history has remained stable. This means gold has succeeded in remaining available while maintaining its status of being rare. Unlike other valuable items like oil and diamonds, gold only comes in one grade which makes it convenient to use as currency. Gold doesn’t have industrial and commercial uses like other metals and minerals which makes it suitable to be used as currency. Gold is a primary commodity in the trade market. The prices fluctuate a few dollars each day, but basically remains stable. In the event of a world incident, such as a war, gold may skyrocket to new heights or the opposite may occur, should the dollar gain substantial new strength, but when instability occurs, you can count on the mineral gold to strengthen in price. 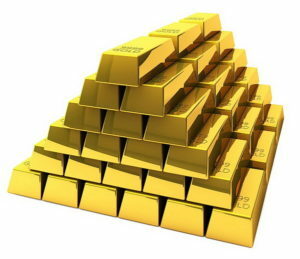 Many people buy gold as a buffer, should a world event occur that may threaten the global economy. Interested in investing in Gold? Be careful! It isn’t always easy to tell a gold nugget from a copper nugget that has been polished to shine just like real ones. And then there is Fool’s Gold; this is simply the name given to some naturally occurring minerals such as chalcopyrite, bismutite and iron pyrite that look a lot like unpolished gold to the unsuspecting eye. But there are some ways of testing the nugget and find out if it really is what the seller says it is i.e. gold! And in case you still can’t figure it out, it is always a good idea to consult with a mineral and precious metals expert to help you make the right decision. As a connoisseur of the finer things in life, Howard Fensterman has a passion for minerals and metals. According to the professional lawyer and gemstone authority, Howard Fensterman offers the following few ways of ensuring the authenticity of your gold nuggets. Gold has a specific gravity of 19.3 g; this simply means that it is 19.3 times heavier than a corresponding volume of water. A nugget made of any other metal will feel a lot lighter than a real gold nugget. So if you have ever handled gold, let your intuition guide you on this one. Or better yet, get a weighing scale! Hold the gold nugget under a lamp. Look at it from various angles, turn it around and examine it properly. The color and lustrous shine of a gold nugget remains uniform, but Fool’s Gold will show variations and get caught out! The uniformity in appearance is the secret to figuring out if you have a real gold nugget or not. Try hammering a nail into the gold nugget. Don’t worry; if it really is gold, you don’t run the risk of damaging it. Because if it cracks or crumbles away, it’s not gold. Real gold can’t be broken away that easily, it may best or dent slightly but it sure won’t crumble under a hammer. This is the most effective, foolproof test we have to date. Drip just one drop of nitric acid (be careful) on the nugget. If it fizzes into green foam, it isn’t gold but copper instead. On the other hand, if the nugget is entirely unaffected by the nitric acid, the Gold Nugget is good. As the value of gold continues to increase, so does the temptation for scoring a good deal on gold nuggets. Remember, if it sounds too good to be true, it probably is! If you’d like to obtain more specific information about the qualities of gold, check out Howard’s article the history and scientific background of this amazing mineral.